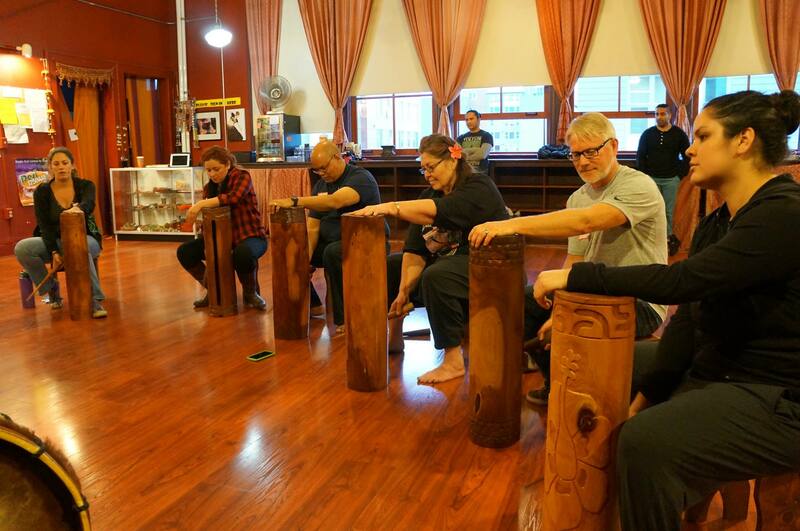 In partnership with regional communities and organizations, the Pratt Museum is excited to host Tahitian drum and dance ensemble Te`arama to the Kenai Peninsula, August 14-19. This Seattle-area group is the performing ensemble of Te Fare O Tamatoa, founded by Merlyna Tahutini Manuru ‘Manio’ Radford in 1964. In the spirit of the biennial Tamamta Katurlluta (the Gathering of Native Tradition), seventeen traveling performers and Tahitian elders will visit several communities in the southcentral region. Te`arama will visit and perform with the Kenaitze Indian Tribe, Ninilchik Traditional Council, Nanwalek Village, and Port Graham Village. 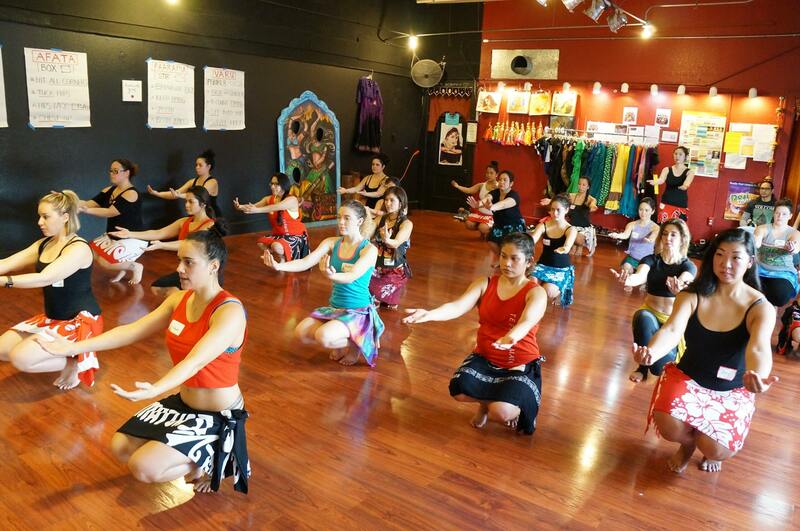 Each of these visits will include rich opportunities to share elements of Tahitian and Native Alaskan cultures—distant yet allied traditions connected by a common ocean. Te`arama’s Homer events are presented in conjunction with the Homer Dance and Aerial Festival coordinated by the Homer Council on the Arts. 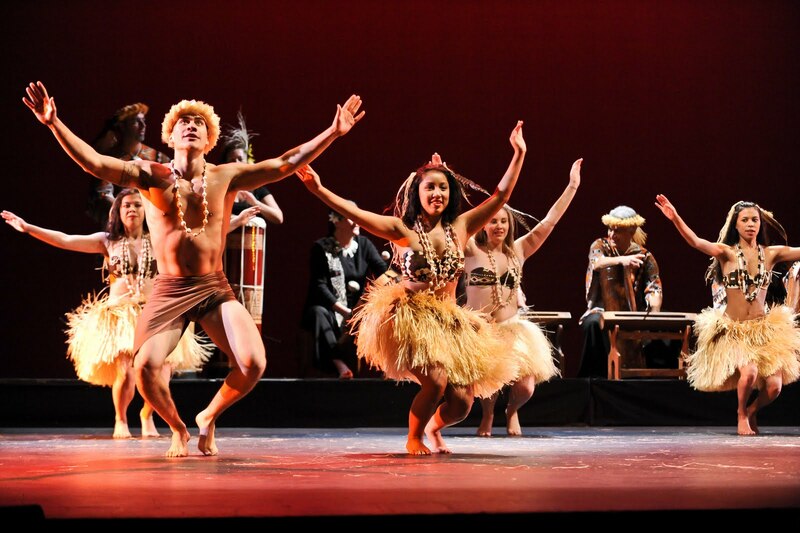 On Monday, August 14, workshops in Tahitian drumming (5:30-7pm) and dance (7-8:30) will take place at the Homer High School green room and theater stage. Lead dance instructor, Nanave Radford, comes fresh from performing with Toahiva at the annual Heiva festival competition in Papeete, Tahiti. Following their community visits, Te`arama will return to Homer to perform at the Mariner Theater on Saturday, August 19 at 7:30 p.m., as part of the Dance and Aerial Performance. Class descriptions and registration, and performance tickets are available through Homer Council on the Arts, in person, or online (online transaction fees apply). Look under the “a la carte workshops” listing! Preregistration is required for workshops. Pratt Museum and HCOA members can take advantage of discounted workshop rates. Please join us in welcoming these guests, and support cultural exchange activities by participating in workshops and joining us at the August 19 performance!